Why Have My Teeth Changed Colour? Just as our hair turns grey or white as we age, our teeth lose their natural white colour. 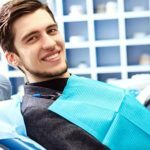 Aside from ageing, certain antidepressants, having a trauma to the tooth, silver fillings or exposure to too much fluoride can also cause the teeth to become discoloured. 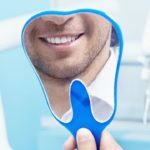 Your dentist is the best person to consult about a whitening treatment but it is important to know before you begin, that only healthy teeth can be bleached. Even if you plan to try an at-home whitening solution you should have a check-up and get the go-ahead from your dentist first. “How white can my teeth be” is a question we are asked a lot. The long answer is that different bleaching methods produce different results and the end result often depends on the original colour of your teeth at the beginning of the treatment. Whitening toothpastes are designed to remove stains or intrinsic staining and cannot bleach the colour of your dentin. It is recommended that you do not use whitening toothpaste more than once per week as it can cause sensitivity. Whitening toothpastes are popular because they are so easy to use and they are relatively affordable. However on the flipside they do only remove surface staining and can take a few months before you can really see whiter teeth. Your dentist will apply hydrogen peroxide to your teeth and may use a laser to activate it. These sessions usually last between 30 minutes and an hour and are considered safe for teeth and enamel. 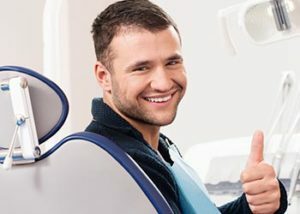 Whitening trays are considered to be the most effective whitening method because the trays are custom created to fit the shape of your mouth and teeth. your dentist will recommend whether you should wear the trays over night or for a few hours a day. Trays are useful because you can keep them for future whitening treatments. Wondering, ‘how white can my teeth go?’ Results vary but most people report an improvement of at least two to three shades brighter post treatment if they follow their dentist’s instructions. Tooth whitening strips are available over-the-counter and are usually coated in carbamide peroxide. They are flexible and need to be held against the teeth in order to be effective but because the shape is not customised to fit your mouth, they may only be effective at whitening flat surfaces. Whitening strips are not recommended if you have crooked teeth. Like whitening toothpaste, bleaching strips can only remove stains from the surface and will not bleach your dentin. Remember also that all whitening treatments should only be used in a healthy mouth. If you do have a cavity and you apply bleaching agent to your mouth the results can be very painful. There are lots of at-home remedies mentioned on the Internet, which include acidic or abrasive substances like lemon juice, vinegar and bicarbonate of soda. These are all potentially dangerous substances that put you at risk of damaging your tooth enamel.